Here’s everything you need to know about 3rd and final ODI between India Women and England Women from Wankhede Stadium, Mumbai. 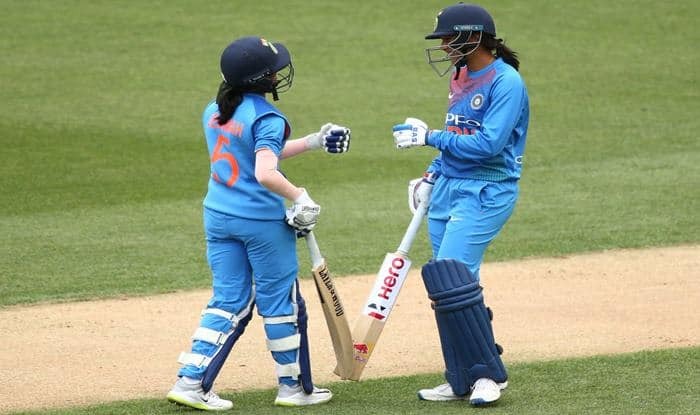 India Women vs England Women 2nd ODI Live Cricket Streaming: After registering a morale-boosting series victory versus England, Indian eves would aim for a complete whitewash to reassert their dominance against the world champs. With an opportunity to take a lead for the No. 2 spot in the ICC Women’s ODI Championship, the women in blue will have a lot to play for when they take on their English counterparts in the third ODI in Mumbai. Both of India’s victories have largely been orchestrated at the back of some good bowling performances, especially of the new-ball pair of Jhulan Goswami and Shikha Pandey. India’s top three batters – Smriti Mandhana, Jemimah Rodrigues and Mithali Raj – have all made one noteworthy contribution in the ongoing series. While the results have gone in favour of the hosts, with two comfortable wins, the ones who have got the odd opportunity – Mona Meshram and Harleel Doel – haven’t made it count as yet. When is the 3rd ODI between India Women and England Women? The 3rd ODI between India Women and England Women will be played on February 28, 2019. What time will the 3rd ODI between India Women and England Women start? The 3rd ODI between India Women and England Women will start at 9:00 AM IST on February 22. The toss will take place at 8:30 AM IST. Where will the 3rd ODI between India Women and England Women will be played? The 3rd ODI between India Women and England Women will be played at the Wankhede Stadium, Mumbai. Which TV channel will telecast 3rd ODI between India Women and England Women? The live TV broadcast of 3rd ODI between India Women and England Women will be available on Star Sports 1/HD. How to watch the free online live streaming of 3rd ODI between India Women and England Women? The free online live streaming of 3rd ODI between India Women and England Women will be available on Hotstar. What are the probable playing XIs of 3rd ODI between India Women and England Women? IND Probable XI: Jemimah Rodrigues, Smriti Mandhana, Deepti Sharma, Mithali Raj (C), Harleen Deol, Mona Meshram, Taniya Bhatia (wk), Jhulan Goswami, Shikha Pandey, Ekta Bisht, Poonam Yadav.